The Love Bandits are back! And this time, they're hungry. 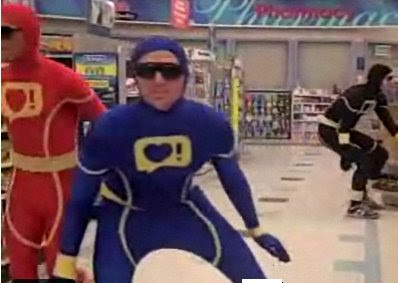 Watch our spandex-clad heroes hunt down some salsa at the local drug store. It's a thrill a minute!